If you’ve listened to the audiobook and would like to download the charts and graphs mentioned, please click the button below. Build a better financial future for yourself and the world from a trustworthy source. 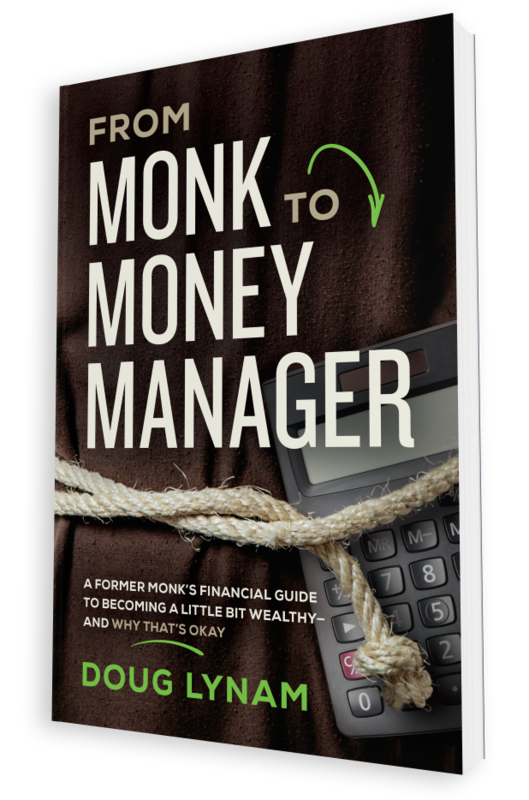 Former monk turned financial advisor, Doug Lynam, shares the rules of money management that will change your approach to earning, saving, and investing. From Monk to Money Manager is an entertaining journey through Lynam’s relationship with the almighty dollar—his childhood in a rich family, the long-haired hippie days running away from materialism, time in the Marine Corps looking for selfless service, and his twenty years in the monastery under a vow of poverty where he began helping alleviate others’ financial burdens. This all led to his current profession as a financial advisor. In this unique look at wealth from a spiritual perspective, Lynam shares his belief that God doesn’t expect us to live in poverty. The truth is, we need financial peace so we can help others. When money becomes a part of our spiritual practice, used in love and service, it can bring us closer to our highest spiritual ideals. He thoughtfully answers puzzling questions, such as: How can you become wealthy while loving your neighbor as yourself? What did philosophers and religious leaders mean when they said that money is the root of all evil? How can you be wealthy and live with deep integrity according to your values? With humor and humility, Lynam uses stories told through the lens of his own and his clients’ money mistakes, to understand how our attitudes based on philosophical misconceptions about money hold us back from living our fullest life and making the world a better place.